TECNOTOP 1C is a single component aliphatic resin for treatment, decoration, and protection of flooring has a satin finishing and forms a flexible, continuous film, with excellent adhesion and mechanical properties as its excellent resistance to abrasion and stress that make it resistant to weathering, extreme temperatures, and UV radiation. TECNOTOP 2CP is a two-component aliphatic polyurethane resin for treatment, decoration, and protection of surfaces and areas in contact with chlorinated waters, even underwater for that is particularly suitable for the lining of pools, lakes or aquatic areas. 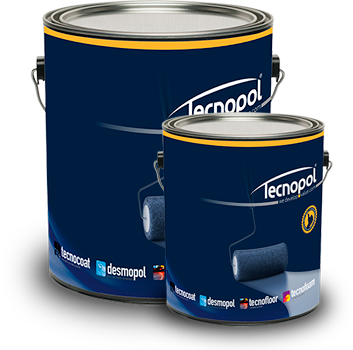 TECNOTOP S-3000 is a two component, fluid, aliphatic and pigmented coating; with high mechanical resistance, flexibility; cold application by a roll. Suitable for pavement and floor finishing (suitable for low external temperatures). 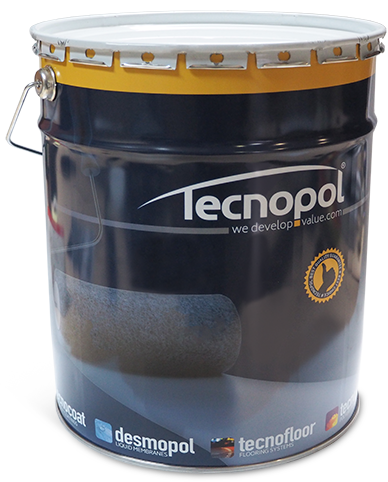 TECNOTOP S-3000 HR is a two component, fluid, aliphatic and pigmented coating; with high mechanical resistance, cold application by a roll. Suitable for pavement and floor finishing (suitable for low external temperatures). Two-component, fluid, aliphatic and transparent coating, polyurea resin based. It has a high mechanical resistance. Cold application by a roll. Suitable for pavement and floor finishing (suitable for low external temperatures).